RUSH: Before we get on with the rest of the program, I want to beg your indulgence for just a brief personal moment. My dad’s brother — my dad, by the way, would be 100 years old today, February 26th, would be 100 years old today. 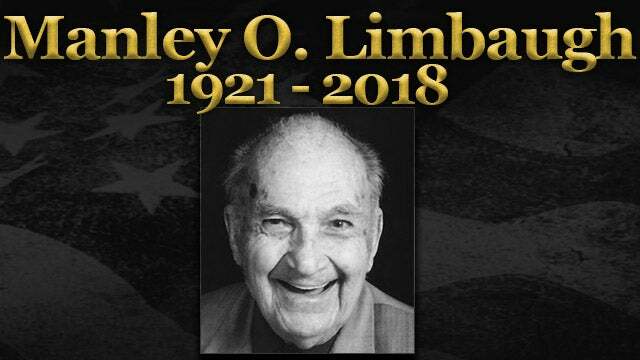 His brother, Manley, three years younger, would have been 97 very soon, passed away last week, and the funeral was Saturday in his town of Chester, Illinois. Chester, Illinois, is about halfway between St. Louis and Cape Girardeau, and it has a population about 8,500 people, 8,500, 9,000 people. 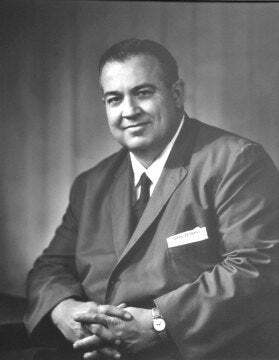 And my Uncle Manley was the epitome — you know, when I talk about people who make the country work, my Uncle Manley was the epitome of that person. He and his whole family. At the funeral on Saturday, everybody there — everybody there — had been taught. He was a biology and science teacher in high school. You know what else? He drove the school bus before school, and he drove the school bus after school. So he got the kids to school, he taught them, and then drove them home after school. As such, he was — at the root level — involved in shaping Chester, Illinois, by teaching everybody that lived there. Well, “everybody.” I’m exaggerating some. But by teaching a considerable a number of people over the years that lived there and he taught there. And everybody loved him, apparently. I was so struck by all of the great and wonderful things that people had to say about my Uncle Manley. The last thing he was, was a personality type of “notice me.” He did nothing for notoriety. He did nothing that was oriented toward getting noticed. He never talked about what he did, other than to describe what his job was. He’d sit down and talk, but he never told stories out of school and he certainly never talked about himself — and he’s from a generation that didn’t. You know, the World War II generation. Like many in the family, he was not loudly politically inclined. He was politically involved, but he was not a loud participant in it. I just saw somebody always smiling, always supportive, always attentive, always helpful, always interested in everybody else. As I say, he embodied that group of people who I describe as “those who make the country work.” They have high ideals and they attempt to live them. Not seeking fame, not seeking notoriety, not striving to be noticed. And if they weren’t there doing what they do — he and millions of others — the country would be in great trouble. He was loyal to his kids to a fault. My cousin Dan… We all wanted to be Dan growing up. Dan went to West Point. Dan is, what, four or five years older than I am, three or four. His brother John, ditto. We always wanted to be Dan. Dan goes to West Point. Anyway, Dan is doing a bit of a eulogy on Saturday, describing Manley’s loyalty. Dan said he didn’t remember a time after a football game, after a baseball game, any kind of high school event — he doesn’t remember a time — where his dad was not encouraging. When something went wrong, it was always the stupid coach’s fault or it was the game plan that was mistaken. “You, Son, excelled. You did your best. You did great. You can’t help it if the coach messed up. You can’t help…” It was not to blame the coach. It was to constantly lift up his son, and he did it with all of his kids. But the impact… It’s a town of 8,500 people. There are probably more tombstones in the cemetery than there are people alive. And he touched so many of them at the root level: Kids in school. He was loved by everybody. My mother was one of those kinds of people. He was loved by everybody that knew him. I will never be able to say that, and neither will a whole lot of people. Not that it should be something everybody should have said about them, but it’s still rare. I was really struck by how many people — and it was overflow. They had to use a satellite… The church wasn’t big enough. They had to use a satellite location for it, and everybody there — and I look at people my age. I’m 66 and these people walking up, 70 years old, “Yeah, Manley taught me all about biology.” (laughing) It was really heartwarming and I just wanted to share a brief moment here and tell you about it. My dad’s younger brother by three years — and the brother that looked most like my dad, incidentally. Not that that’s… (interruption) Yeah, M-a-n-l-e-y. Manley O. Limbaugh. But I can’t emphasize enough how unaffected he was by external pressures to be something or somebody that he wasn’t. He knew who he was, and he was content with it and raising his family and putting them first was it for him, and that’s where he derived his satisfaction and his happiness. And he did a great job with them. It’s the one thing. I’ve always said that life keeps getting better. Every time I get older, every year I get older, I like it better. I’ve always wanted to be older. But the one downside to getting older is that people begin to pass away. So there are downsides to it as well.